Litigation experience measured by the decades is what Keith Hesse provides when he represents clients in state and federal courts throughout Florida. 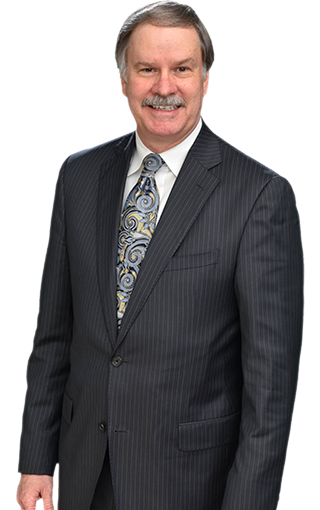 Practicing law for more than for 35 years, Keith’s strong background covers a broad spectrum of legal experience, including commercial and corporate matters, non-compete agreements, real property litigation and class actions. He has litigated cases of statewide and national significance. In addition, he has extensive experience in probate, trust and guardianship disputes, representing fiduciaries, beneficiaries and creditors. He is a trusted advisor to a variety of individuals, businesses and non-profit organizations. Another area of experience and keen interest involves the manufacturing industry. He represents a number of manufacturing clients in various areas, including aviation, adhesives, recreational vehicles, packaging, and food production and distribution. Keith serves on the Board of Directors of the Manufacturers Association of Central Florida, and has been commended for his many contributions. He also counsels FloridaMakes, a statewide industry organization dedicated to advancing Florida manufacturers. A graduate of the University of Florida with a B.A., Keith went on to attend the University of Michigan Law School for his J.D., where he won the Henry M. Campbell Moot Court competition (in this competition he successfully argued before panels of distinguished jurists, culminating with a panel including former Supreme Court Justice Potter Stewart). Born in Brooklyn, New York, Keith grew up in Central Florida, attending Bishop Moore High School. Admitted to bar, 1982, all Florida state courts; U.S. Tax Court; U.S. Court of Appeals, Eleventh Circuit, U.S. District Court, Middle District of Florida. University of Florida, B.A., 1979; University of Michigan Law School, J.D., 1982. Orlando Shakespeare Theatre, Board Member 2008-2015 (President, 2012- 2013); Leadership Orlando Class 39; Barry University Law School, Advisory Board; Tiger Bay Club of Orlando, Member; Habitat for Humanity of Winter Park-Maitland, former Board member; Big Brothers/Big Sisters of Central Florida, former Board member. Repeated pro bono recognition from OCBA/Legal Aid Society. Property, Probate and Trust Law Section; Ninth Judicial Circuit Grievance Committee Chair (2001-2002); Orange County Bar Association; Manufacturers Association of Central Florida, Board of Directors.